Might I suggest you fill out the car and location details in the User CP so that they show up in each post under your user ID? Include year, model/trim, engine, transmission. Also location, because there are differences between North American models and others, and if U.S., whether the car meets Federal or CA emission specs. This could avoid misunderstandings, and help ensure replies are relevant. Thanks for the heads up, done! 2007 Australian market vehicle, more equivalent to our North American 2008. I suspect that the rear O2 sensor voltage video alone won't provide sufficient information to comment. Granted, one possible sign of a bad cat is an "oscillating" rear O2 sensor voltage, but I've also seen that happen with a faulty sensor. In any event, the video doesn't seem to portray the voltage as oscillating; it tends to stay high, or low, for some time. @cardoc is the resident expert in this thread and will probably comment in the next while. I have tried to link my scanner (Foxwell NT204) to Romraider but it does not have the ability to output/export data. 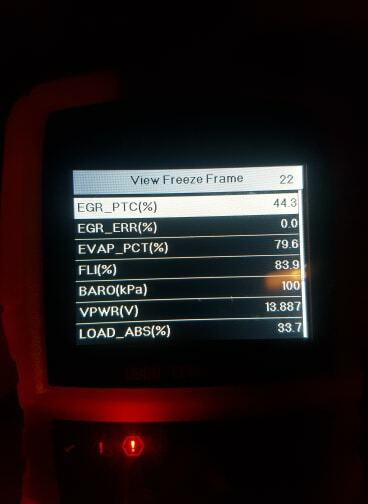 I have the freeze frame data from when the ECU threw P0420, see attached, which shows STFT3 & LTFT3 trimming big time. From my limited understanding that will be the trim on injectors 3 & 4? What would that indicate? You need to investigate the cause of the knock. I know you said you have a fairly new timing belt, but something is off. It's either the fuel you are using, like low octane, or there's a possible restriction in fuel delivery or timing related. In the pic below, you see a massive amount of fuel being added (the AF Correction) in conjunction with the knocking which the data shows being corrected for by 8°. That is what's creating the issue with the cat data. I don't think it's the O2 sensor. I don't think it's the cat right now. It is possible that the cat may be partially damaged, but that knock, as long as it's present, is going to continue to cause issues. No, knocking on acceleration is not a normal occurrence. You're not boosted. Here's what I'd like you to try. Run the tank down. Fill it up with the highest octane available and add in a bottle of octane booster. Then after driving it for a while, log the same type of data you just posted. Don't worry about resetting the codes, it won't matter. Another thing, and this will get the attention of the neighbors, after logging above and the cat in, take the pipe with the cat off the car and drive it, logging data. I would like to see if the knock goes away with the cat removed. The ECM will set a code for O2 sensors with them unplugged. It will also run fuel based on MAP, ECT and Throttle. Be sure to have the harness connectors tucked up where they won't snag on the axle. Two things we're after here: One to see if it's fuel type or delivery. Second is restriction in the exhaust. The engine load isn't too high, but sometimes the ECM calculation can be deceiving. The #3 trims are based on feedback from the rear O2 sensor. The "-100%" is very odd, but that might be the way the Foxwell scanner is interpreting the data (which could be zeros in both cases). 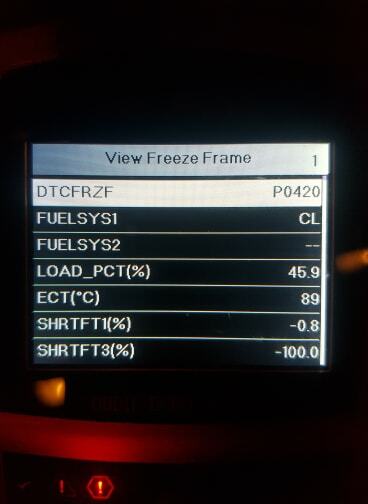 If the Foxwell can, monitor the two #3 trims while the engine is idling to see if they're holding at the -100% level, and then again while driving steadily; in other words, not at a particular "freeze" moment in time. 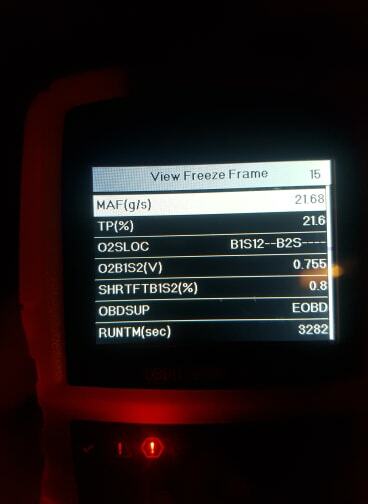 Also, look at the rear O2 voltage and the STFT#3 while the warmed-up engine is idling. Turning to the code itself, the detecting criteria used by the on-board diagnostics is based on a statistical analysis of the high/low changes in the signals from the pre-cat A/F Sensor and the rear O2 sensor over time. A very simplified explanation might be: If the number of changes in the signal from the rear O2 is significantly greater (statistically) than the changes in the signal from the A/F Sensor, then the OBD interprets that as a fault in the cat converter. I've attached the Detecting Criteria for the P0420 code which provides more detail on the statistical foundation. Because it's a time frame analysis, the "snapshot" that the freeze-frame data provides is often not of use unless there's a very obvious anomaly. Note that the test of the cat converter is performed only once during a drive cycle, and the code is set only if the fault is detected in two consecutive drive cycles. It is because of the "over time" and statistical analysis aspects, and the fact that cat performance can be influenced by various engine operating conditions, that logs of multiple parameters running over time under different driving conditions can be helpful in trying to distinguish between a truly faulty cat, and a code that might be caused by other factors. In many of the posts here, cardoc lists the parameters to be examined. 1 Lucky Texan and cardoc like this. never seen triple digit fuel correction! check the vacuum line from the fuel pressure regulator I guess, and maybe move injectors around...???? I dunno - both those ^^^ guys are on the 'case' so, pay attention to their advice. To add to plain OM's post, even when you identify a bad cat the issue that damaged it has to be found or a replacement cat will fail due to poor engine management factors. It is more efficient to have data logs to see what the ECM sees over time. Freeze frame is okay in some instances, but when it comes to a P0420, it's worthless. It only gives the parameters at the time the code was set and not the contributing factors leading up to it. Unless you have the Innovate or other listed sensors added to the car, Rom Raider will not see it as additional data. If you have a laptop I suggest you hook up directly with a VAG-COM cable and get it set up to work. Otherwise, another source of data stream will need to be used in order to determine where you need to look. Lots of Subie owners in OZ use Rom Raider, so it shouldn't be a problem. Does the car have 170k KM or is that what you've put on it? 170k is timing belt time. Has the timing belt replaced? Thermostat? Is the car maintaining a good engine temperature? PCV valve cleaned or replaced? Do you have an oil leak, either valve covers, tube seals or head gasket? What's the condition of the oil? Does the level remain sufficient for AVLS operation? How much carbon is on the throttle body? This would also give you an indication of carbon build up in the cylinder. Have you checked for vacuum leaks? If your fuel trim is consistently low then I would doubt there's a leak. Battery and grounding are important. Age and condition of the battery? Are the ground cables in good repair? Is the alternator functioning proper? I will buy myself a VAG-COM cable tonight and try and get some data logs of the sensors, in particular ones listed at the start of the thread. Car has 170,000kms in total. I bought it at 154,000 and have put 16,000kms on it since August 2018. Yes, twice, once at around 55,000km's and once around 150,000. 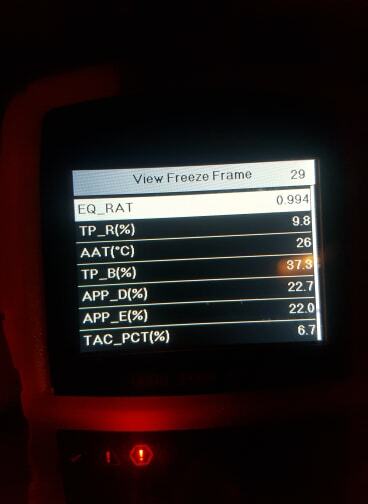 Hasn't been replaced as far as I know, but engine is running between 88deg C and 95deg C.
PCV Clean is my next job, what in particular should I be looking for? 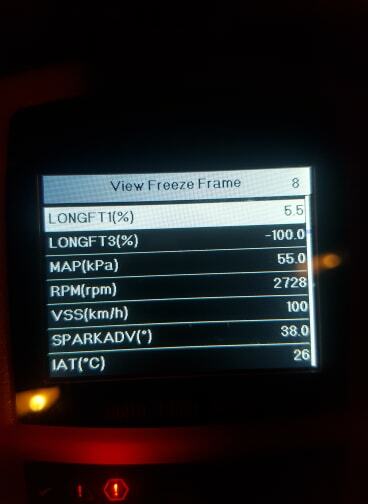 No oil leaks, I do a lot of KM's and it does burn a bit, but I consider this normal with other cars I have owned. Oil is dirty but always kept topped up. Was replaced at 162,000kms with new filter and will be getting replaced again soon. Have checked for leaks and cannot find any. Fuel trim is generally low, and in the -ve range, so it doesn't seem to have a leak. Interesting that you mention the battery/alternator. About a month ago the battery died randomly over night, so I jumpstarted the car and drove home the next day. After a long drive home the battery had boiled over and was spitting out battery acid/smoking. As I mentioned I bought the car in August 2018, so unsure of the age of the battery. Battery has obviously now been replaced, I checked the voltage across the battery when at idle and was around 14.8V which seemed normal, so assumed the alternator is working as normal and not overcharging. Look for buildup of oil deposits inside, and especially whether or not the plunger inside moves freely. Although the one in the car might be cleaned fairly well with solvents, there's no real way to be sure if the spring is still functioning properly. If the valve hasn't been changed for a long while, or has a lot of deposits, consider replacing it with a new one. That seems somewhat on the high side, and coupled with the failure mode of the previous battery, might warrant clarification. Was the battery fully charged at the time? Had the engine been running for a while or was that right after starting? Were there any accessories/additional loads on (e.g. headlights, AC)? What type of replacement battery was installed (e.g., flooded cell or AGM)? What type of meter is being used to measure the voltage?